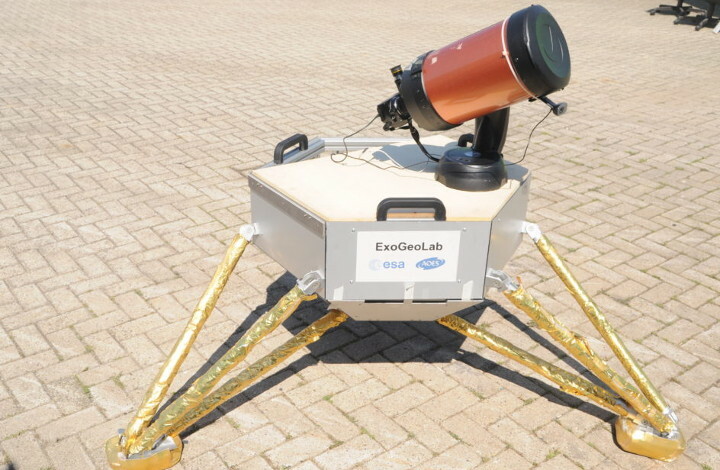 As a trainee building on previous field astrobiology efforts by ESA/ESTEC and activities of the ExoGeoLab project, I have designed a system to remotely operate a payload on a lunar lander. It is based on a stationary lander structure with a suite of instruments, consisting of a camera, a webcam, a spectrometer and a steerable telescope. Designed to be modular, the LabVIEW powered plug-and-play architecture allows easy addition and swapping of instruments. All hardware is controlled from a common, remote, user-friendly interface. This lander enables ESTEC and partner institutes to validate the Technology Readiness Level (TRL) of new instruments or train analog astronauts and plan analog missions involving human-robot interaction. Final report can be found here. This entry was posted in Hardware, Operations, Software. Bookmark the permalink.